Hey everybody! Last week we took a look at the new database we'll be debuting soon but we didn't go into details, so today we're gonna see why this is really a game changer. Plus, if you're an author, the Scheduler is here! The new database has some very powerful filtering options that you can configure so that they are always applied without having to re-configure them every time. As you can see from this screenshot you will be able to filter by almost anything, including instrument, source, vocals gender and reductions. you get to see only songs by that artist, of that genre, of that year, etc. You can also filter by author in the same way. And that's not all: you can click on difficulty dots to filter songs for that difficulty for that instrument! 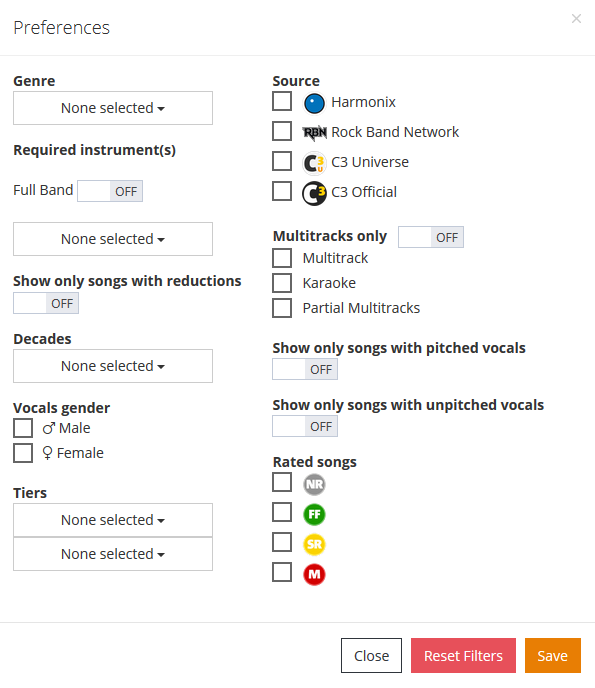 On top of flitering you can sort the DB by any field, not only the ones pictured in the screenshot above: you can for example also sort by difficulty for every instrument. Next Monday we'll take a look at how cool the Song page is! C3X Authors, the one place to plan your releases is finally ready. It's choke full of options and it will make you want to contribute as much as possible to this project! In the next hours we will roll out this amazing new tool so you can start plan your way through our first Tour. This looks great! Can't wait to see it all in action! This is so cool! Looks like a lot of work went into this! Can't wait to use it! This is so excellent. Thanks for putting so much work into this. Really appreciate it and it's amazing to watch it evolve before our very eyes. Also I don't speak in english so sorry about it but I wanted to know if there will be available again the songs released in previous games (like RB1, LRB, RB2) and the songs that appear in RB4 ? (i'm a Wii player) Because when I try to download those songs it sends me to the official microsoft store website. Maybe there's another place to download them but i'm new here and i don't know where to find them. 1. This is not the appropriate topic to post questions related to customs. This topic is for C3X news only. 2. Read the rules of the board. Do not ask for official Rock Band content. 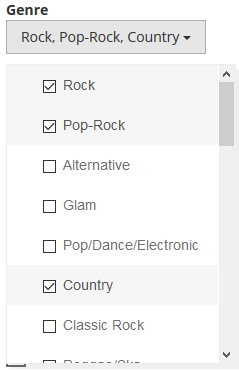 The music genre, and instruments category is the most waited for me! Oh my... New database is real!!!! Will the new database include entries for the recent DLC songs released by Harmonix that are missing? This would be helpful, and I'd donate my time to help make it comprehensive. Just have to say, the scheduler is really awesome. And now that I see what lies in store... it's going to be absolutely, insanely awesome. We can have that too, yes. When will the new database be available? Lol a number of authors have been waiting for a long while as well.